Don’t you love those moments in your course when students are fully engaged? When the “Aha!”revelations are bursting like fireworks? David Spiceland, Wayne Thomas, and Don Herrmann have developed a unique set of materials based directly on their collective years in the classroom. They’ve brought together best practices like highlighting Common Mistakes, offering frequent Let’s Review exercises, integrating the course with a running Continuing Problem, demonstrating the relevance of the course with real-world companies and decision analysis, and communicating it all in a student-friendly conversational writing style. 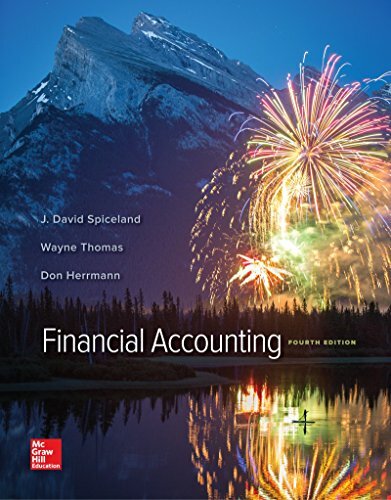 After the proven success of the first three editions of Financial Accounting, we are confident that the fourth edition will not only motivate,engage, and challenge students―it will illuminate the financial accounting course like never before.